At 21 years old, she was one of the youngest performers to attend the 42nd Annual Grammy Awards in Los Angeles, California. It was a remarkable achievement when you consider that she comes from the tiny island of Moloka‘i, Hawai‘i, a mere wisp of volcanic land in the middle of the Pacific Ocean. Raiatea Helm’s recent appearance onto the national music scene with her Grammy Nomination was a natural progression of her growth within the Hawaiian music community. 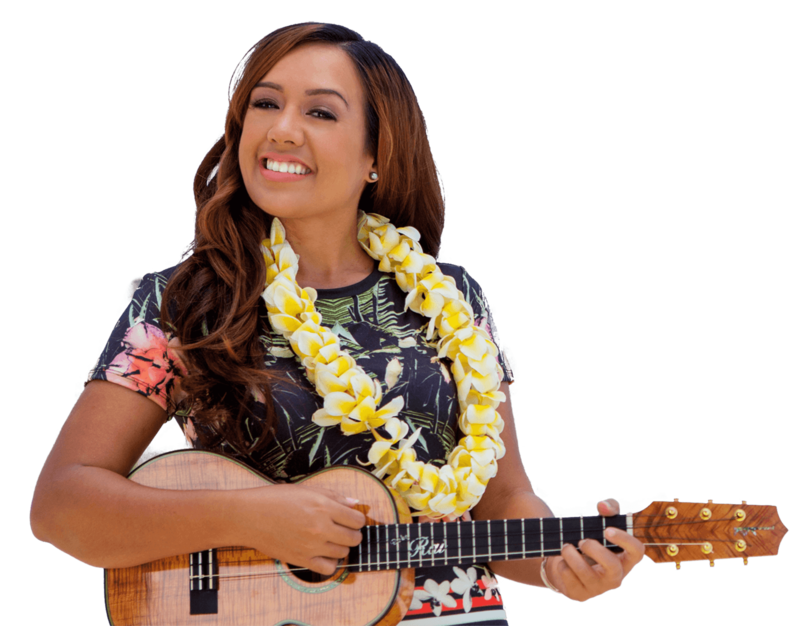 Her debut recording, “Far Away Heaven,” captured the prestigious Female Vocalist of the Year and Most Promising Artist Awards from the 2003 Hawai‘i Academy of Recording Artists (HARA). Raiatea Helm continued her award-winning tradition two years later with the release of her second CD “Sweet and Lovely.” (Raiatea Helm Records). At the 2005 HARA Awards ceremony, she was recognized again as Female Vocalist of the Year and also received the coveted Favorite Entertainer of the Year Award. With the additional acknowledgement for technical merit in Engineering (Dave Tucciarone) and Graphic Design (Mele McPherson), she now claims six Na Hoku Hanohano Awards. Few performers of any age can match that achievement. Raiatea Helm has also proven herself to be as versatile as she is talented. Her rendition of the jazz classic “At Last” on “Sweet and Lovely” caused a buzz among many of the Hawaiian music industry’s singers, musicians, and producers. Her jazz vocalization was so exceptional that Matt Catingub, the Grammy Award Winner for his saxophone performance on the sound track for “Good Night and Good Luck,” asked her to participate on his upcoming project. Thus, in 2007, Raiatea recorded the wonderful jazz standard “My Romance” with the Matt Catingub Orchestra of Honolulu and received rave reviews. On her recently released her 3rd CD “Hawaiian Blossom,” Raiatea Helm includes the dreamy jazz ballad “Taking a Chance on Love.” There seems little doubt that a jazz CD is in her future, and perhaps, the unprecedented feat of a single female artist receiving Na Hoku Hanohano Awards in both the Hawaiian and Jazz music categories. Raiatea Helm’s virtuoso recordings and performances have already launched her onto the international music scene with extensive concert appearances throughout Japan and Asia. Domestically, she has appeared at venues stretching from New York City to San Francisco. 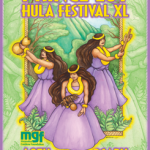 Her appeal continues to flourish across all age groups and reaches across geographical boundaries as she collaborates with legends of Hawaiian music: The Brothers Cazimero, The Makaha Sons, Keali‘i Reichel, Ho‘okena, Auntie Genoa Keawe, and Ledward Ka‘apana. As with Raiatea Helm’s career, the list continues to grow with no end in sight. With her performing and recording career now entering her seventh year, Raiatea has firmly established her reputation as Hawai‘i’s premier chanteuse. At 26 years old, it is undeniable that Raiatea Mokihana Maile Helm will be a part of the national as well as international music scene for many years to come.